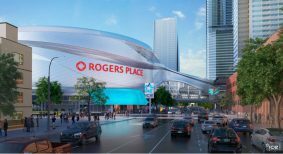 Opening a brand new facility is no easy feat, especially one like Rogers Place, the first LEED Silver-certified NHL facility in Canada. 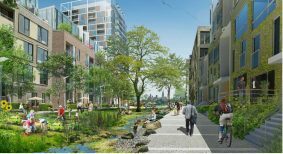 Industry proponents of sustainability are looking beyond buildings and thinking on a larger scale with low-impact communities. 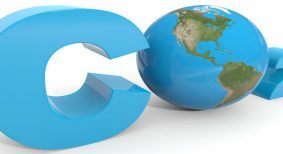 Commercial and multi-residential real estate owners will catch a significant share of the fallout from Ontario's pending cap-and-trade system, but a projected natural gas price increase in the range of $0.84 to $1.05 per gigajoule is lower than carbon tax rates in British Columbia or Alberta. Public sector organizations across North America have been using performance-based solutions such as energy performance contracts to undertake their energy efficiency upgrades for the last 25 years. The federal government has used them since 1992 to attract $320 million in private sector financing to upgrade the energy efficiency of its buildings. Today, these buildings are saving about $43 million per year. Many of the municipalities, universities, schools and hospitals (the MUSH sector) across Canada have undertaken similar projects. Some of the reasons these institutions are improving the energy efficiency of their buildings are obvious – it saves money and the environment. But there are other important benefits, with employment being one of the biggest. Energy efficiency projects are labour intensive and the vast majority of this labour is local. There are many other reasons why property managers and their tenants are investigating energy conservation as part of their progress to going green. A recent survey by McGraw-Hill found companies that are going green reported 93 per cent greater ability to attract talent. As well, 81 per cent saw greater employee retention, 87 per cent an improvement in workplace productivity, 75 per cent improvement in employee health and 100 per cent saw an increase in goodwill and/or brand equity. So, with all these benefits, why is there still so much untapped energy efficiency that can be cost-effectively achieved? One of the main reasons is capital availability. Forty-two per cent of respondents in an industry survey identified this as the top barrier to capturing potential energy savings. One solution is to use an energy performance contract (EPC). This is an agreement between a building owner and an energy service company (ESCO) whereby the ESCO takes full responsibility for identifying, financing, implementing, commissioning and verifying the energy efficiency project. This is done by guaranteeing the energy savings will be sufficient to finance the cost of the project over the life of the contract. In this way, the technical and financial risk of the project is transferred from the building owner to the ESCO. Before the contract, the owner is paying more than it should for energy use. During the contract, the energy savings realized are used to pay the capital cost of the energy efficiency project. At the end of the project, the owner pays the reduced energy bills. In addition to transferring risk, this type of contract has many advantages over the more traditional fee-based model. It reduces pressure on capital funding allocations, is a turnkey approach with one contract managing many activities and it is less expense than alternative financing models when all staff and management costs are included. An EPC can be structured in many ways to suit the specific needs of the client. Interestingly, it is also used to at least partially address the deferred maintenance backlog faced by many property owners. In this type of arrangement, the energy savings from the EPC can also be used to fund non-energy deferred maintenance priorities such as roofs and parking areas. This is typically achieved by extending the terms of the EPC contract. There are thousands of successful EPC projects across North America. Although most of them are for institutions in the public sector, there is a growing use of this solution in the private sector. One example is the update of the 30-year-old Dorchester Square building in downtown Calgary. Upgrades included an automated building system, variable speed technologies and HVAC upgrades. Final savings were more than $90,000 a year, which is $20,000 more than was predicted. The mile-long Vista Cargo Terminal building (with 125 bay doors) near Toronto’s Pearson Airport is another recent successful project. 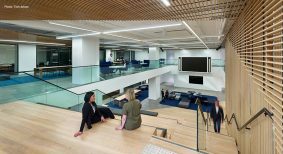 Energy savings of 17 per cent were achieved and the building is performing above the guaranteed level. In Ottawa, League Asset’s Trebla building recently completed a $2 million energy efficiency upgrade that resulted in savings of $245,000 a year (or about 40 per cent of the base). Comfort conditions, life safety, accessibility and elevators were also improved. Peter Love is an adjunct professor at York University’s faculty of environmental studies. He is also co-founder and president of the Energy Services Association of Canada.